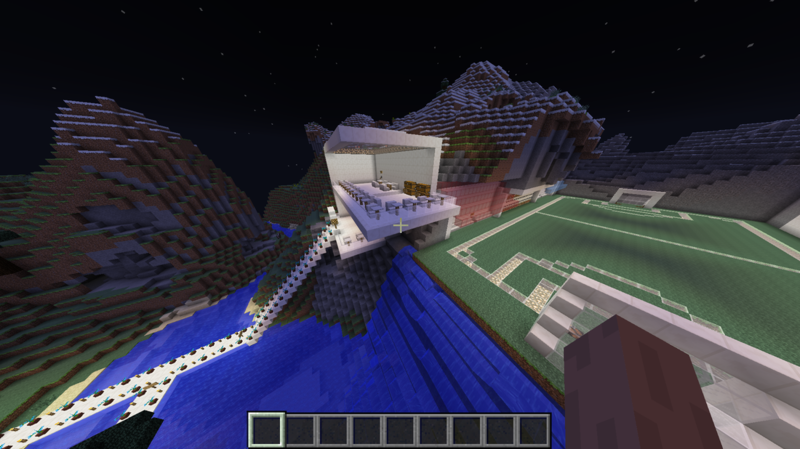 I loved doing the minecraft build when we improved some aspect of our lives. I loved how we built our own worlds but we were still allowed to help each other. I also love the 3D doodler which is really fun and I loved how we got to create whatever we wanted to create. 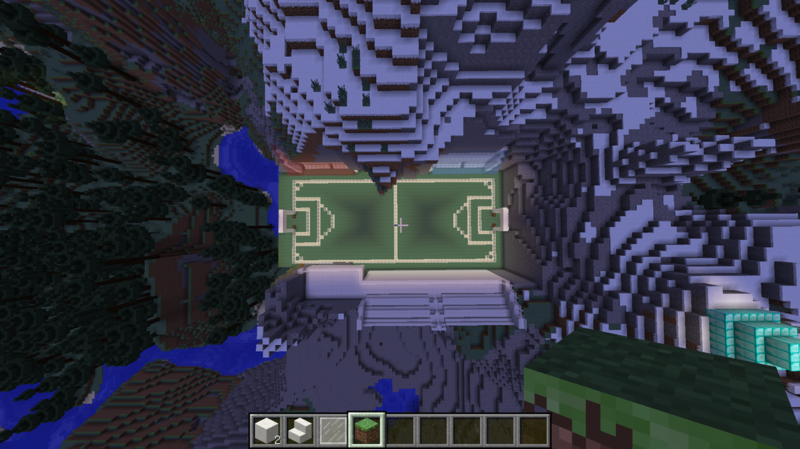 I am most proud of my minecraft world when I built the soccer stadium. 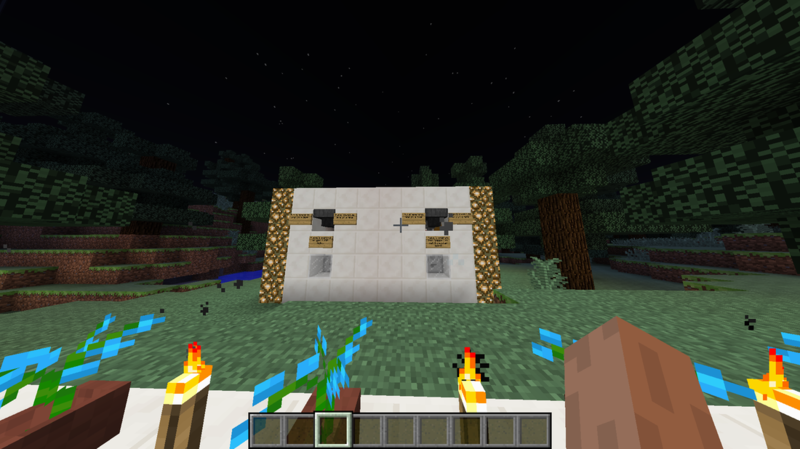 I loved how it turned out and I had lots of fun building in minecraft. I think that it is good that we can work on our projects at our pace and how we are not rushed to finish. I also like how we can choose how we complete a project, how if you aren't good at using one application there is another one you can use. 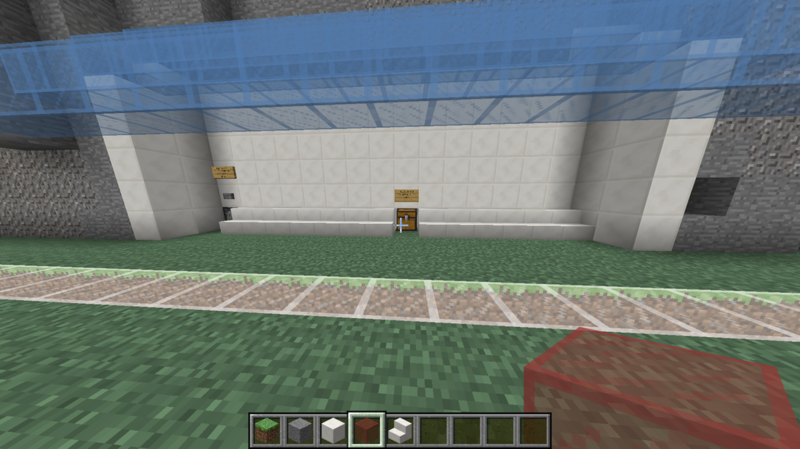 I built the VIP box which has two floor and there is a cover over the second floor so people won't get wet. 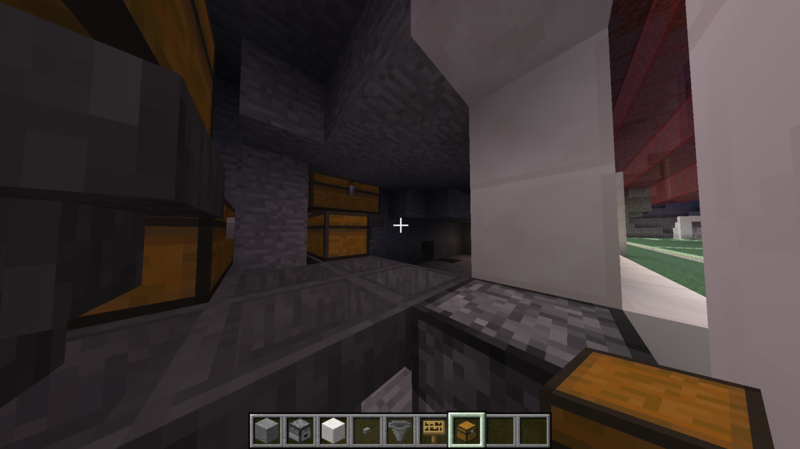 There is food in the chests and there is also potions if you need any during the game, they aren't splash potions so people can't give players any extra advantage. I finished the cafe area and put a white stained glass over it. The cafe has control of the lights above the stands and the cafe lights. 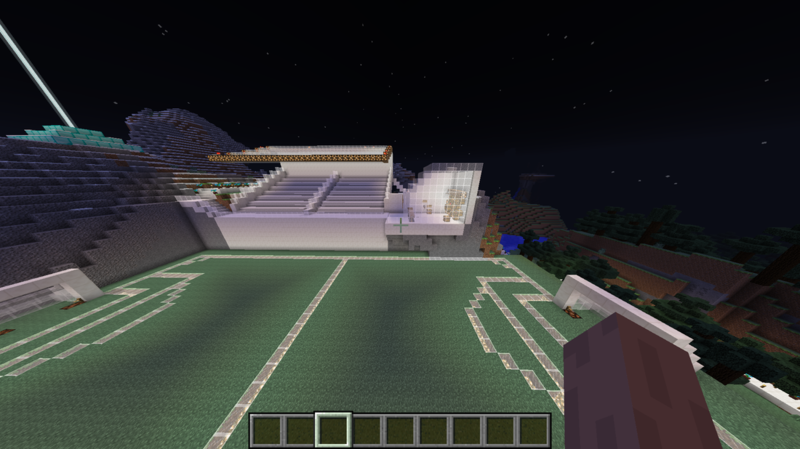 I built a staircase to the stands for fans to be able to get to the stands. 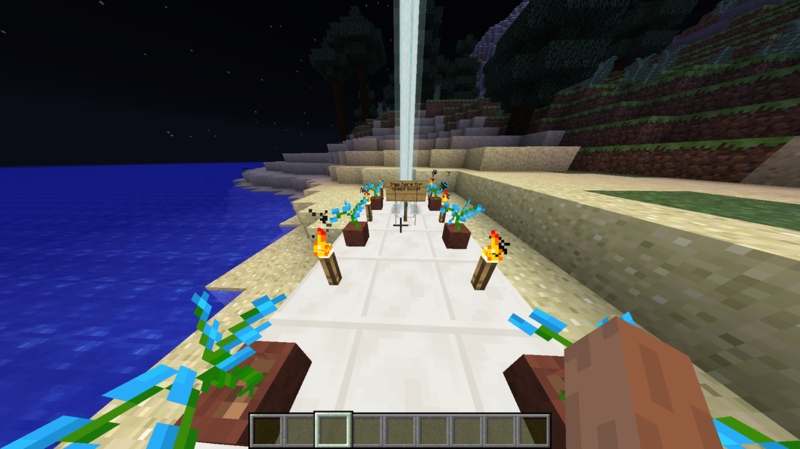 I went to the starting area and built this place, which has a beacon that will give you speed when you stand on it which can get you to the ticket stand faster. I created a ticket stand where you could buy tickets. It costs one emerald to buy one regular ticket and it costs one diamond to get on VIP ticket. 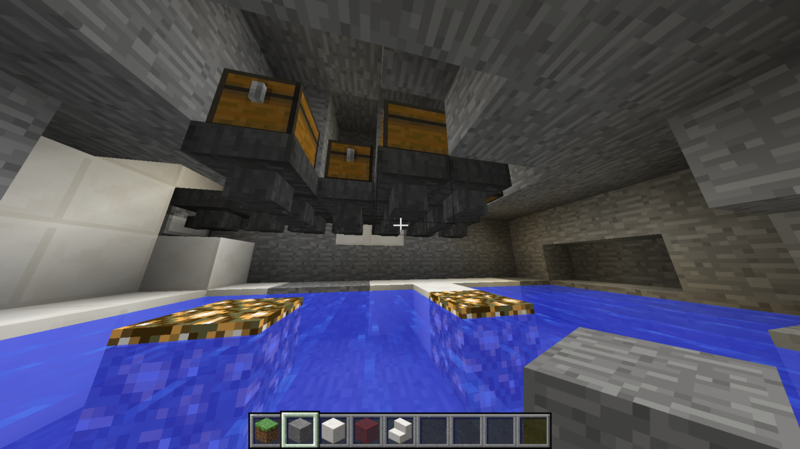 You place your payment into the hopper and the droppers behind the glass will drop you a ticket. 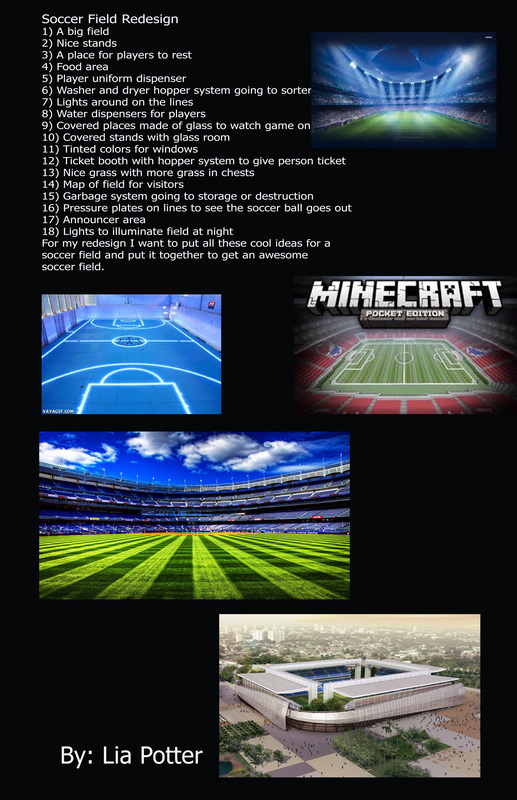 This is my Minecraft video tour that is showing you all of the things that I built to improve the soccer field. Today I helped Emilia in her world. 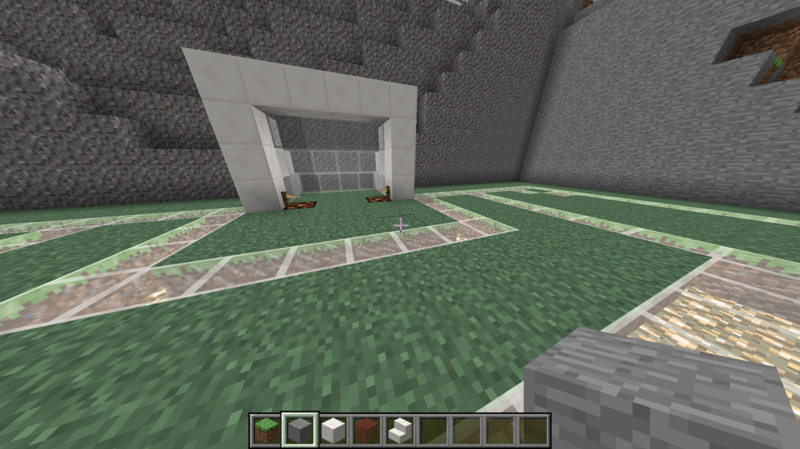 I helped build the kitchen and garden. 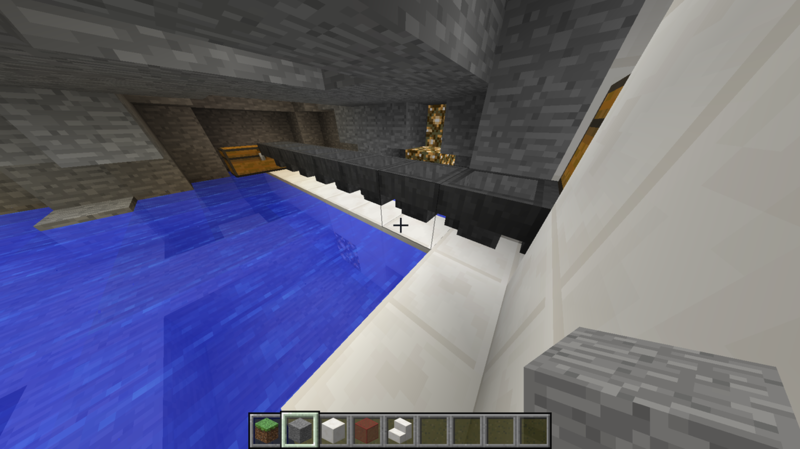 I was working on a trash can that would dropper the items into a pit of lava to destroy it. 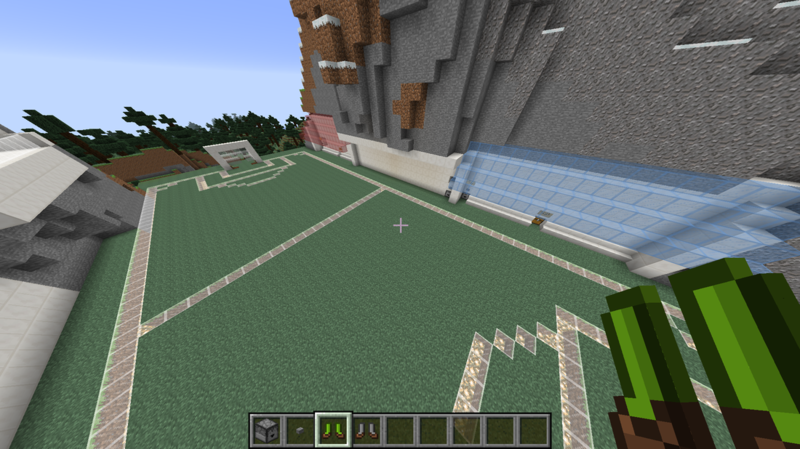 I am making a box area where you can have a air-view of the game and where there is free food. I finished the cafe in the stands for fans to get food and drinks and I am also going to make an exit from the stands. 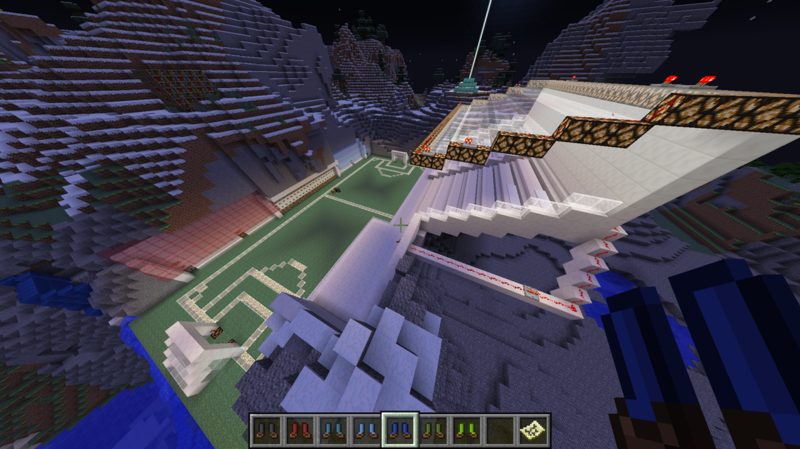 This is a view of my field after I put in all the lighting and finished building the field part of my build. This is when I am building my team areas with a water-bottle dispenser and a trash can. This is the hopper system for the garbage and water-bottle dispenser. 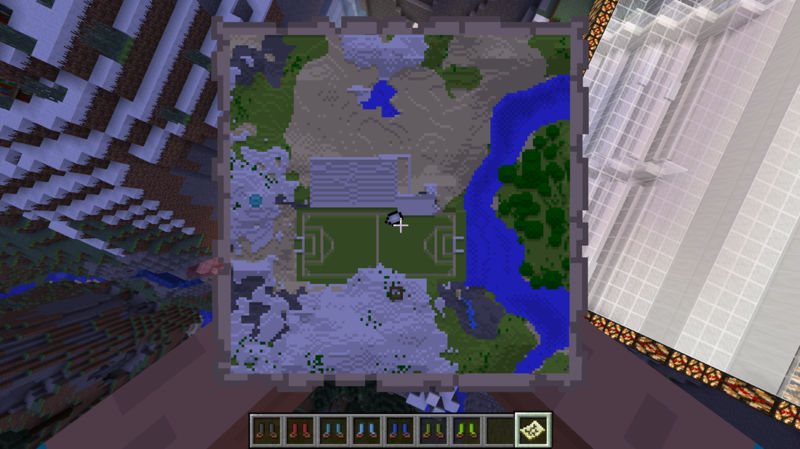 I finished the outside part of the other team area. I made my goals and added this things where the lights light up when you go over this trip-wire. 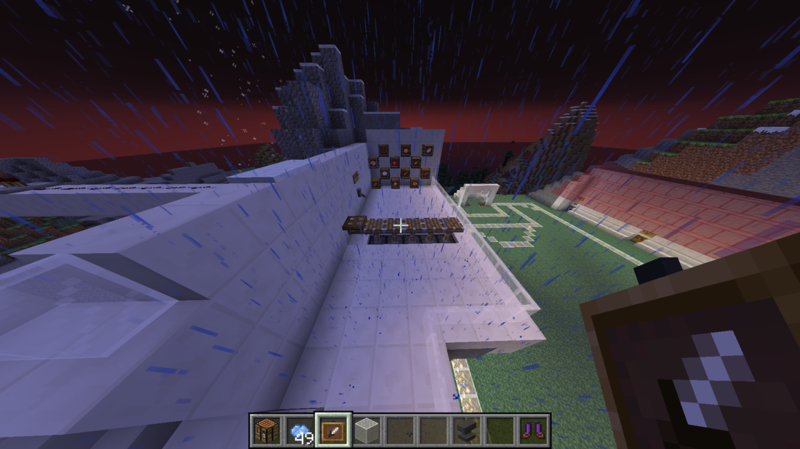 I started to put in the hopper system for the other team area. 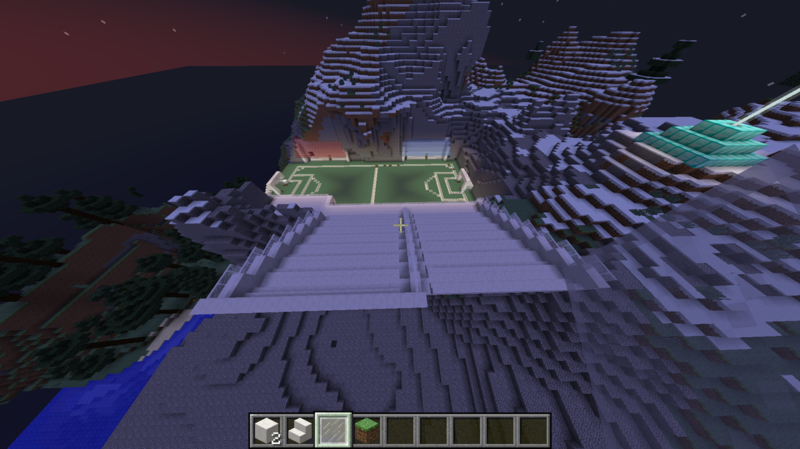 I have started to make the stands and I will also have a small food stand on the right side and back a staircase going up to the stands. I also finished the red team area. 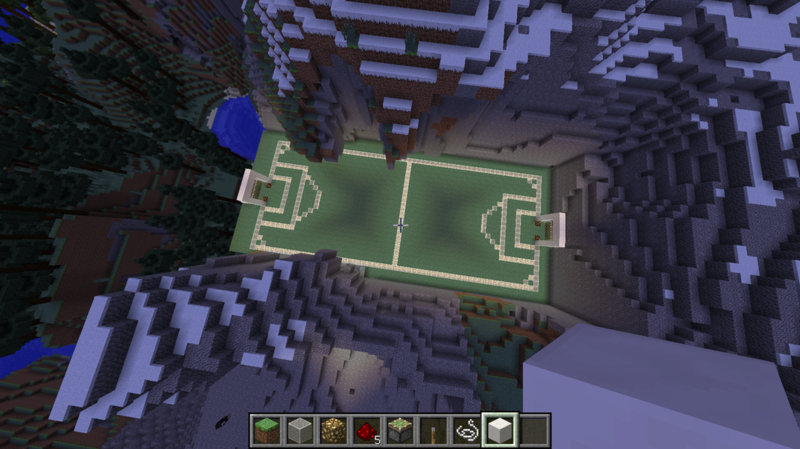 This is an view of my field, team area, stands, and a beacon so people can find the field. I added more seats to my stands and I fixed the red-stone problem that came up and I am trying to put lights in the stands to light the way. I am finishing my stands and then I will add a place where people can get food and perhaps I will add a cafe or something or maybe somewhere where fans can buy things. I am finishing the stands and am going to put a cover of glass over the stands. 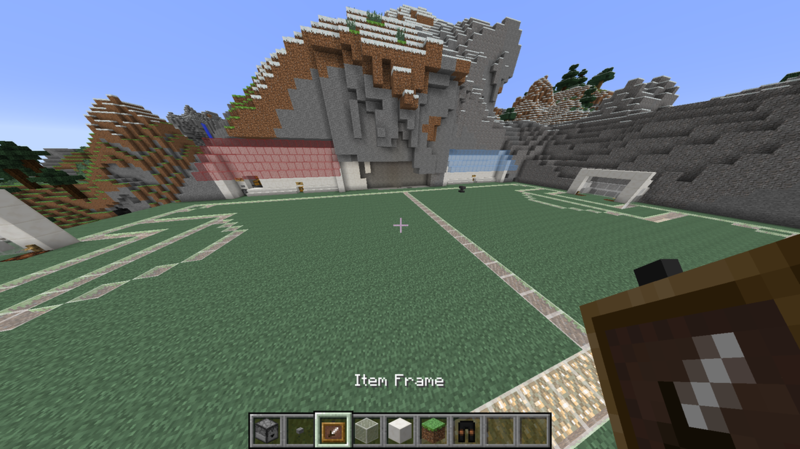 I am making a place for player to get new jerseys or cleats or food. I put a glass top on top of the stands and I put a ring or lights around the glass that can be activated with a switch for games at night. 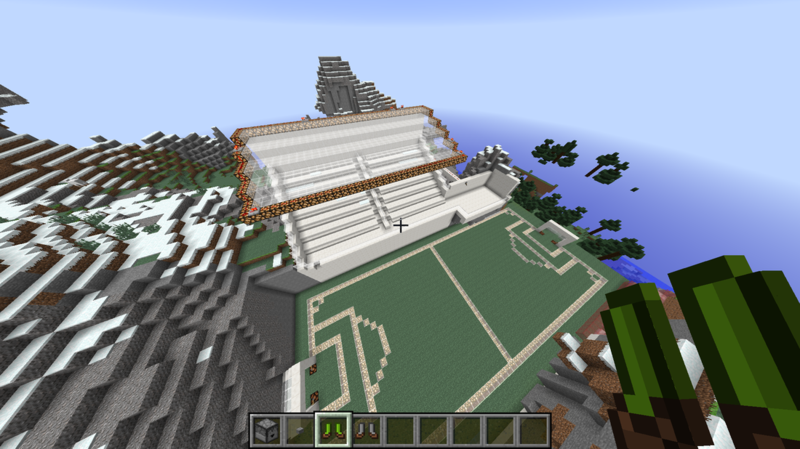 I am starting to put in the stand where players can get jerseys and things during the game. I may also make a med station, I don't know though. I am filling in the droppers for the players to use during the game. This is an overview of my world. 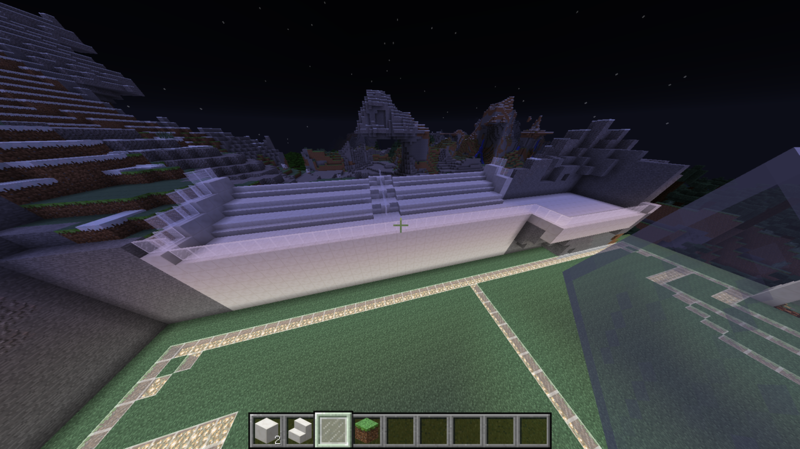 You can see the field and the stands and the beacon which I use to fin the place. 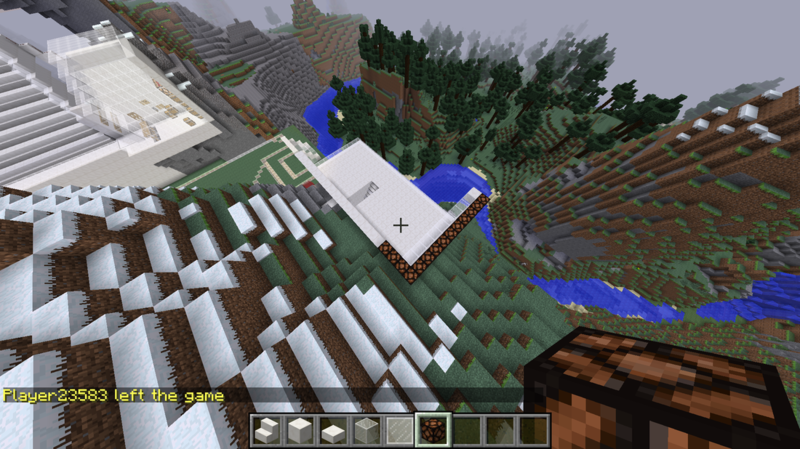 Today I helped Emilia on her world during the period so I did nothing for my world. I helped add a kitchen space and I helped make a roof-top garden. I also helped her with her red-stone. I worked on the droppers for the players during the game and added more things. I still need to add some things but I won't have any enchanted things because that would be cheating. I am working on my shop for fans to buy food and perhaps team hats. I have the light switch in there for employees only. 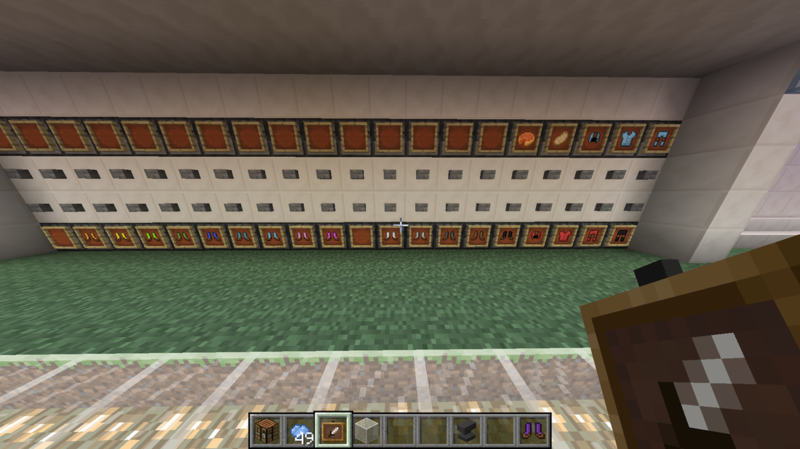 I will continue working on my shop and droppers for the players. 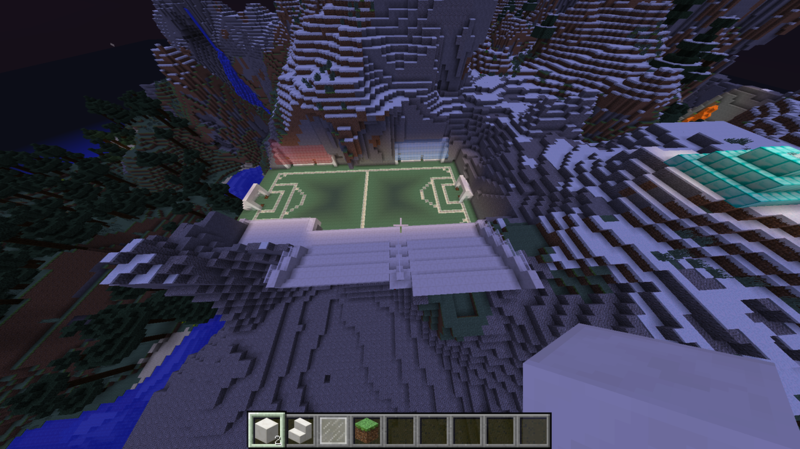 I may try to build a viewing center or something and a way to get to the stands. For my negative poster I choose to have a black background because it bring a dismal feeling to the poster. Then I choose to use a bright blue color for my text because it brings some light to the poster, it makes it so that the poster isn't so dark. It shows that there is hope in some of your darkest moments. 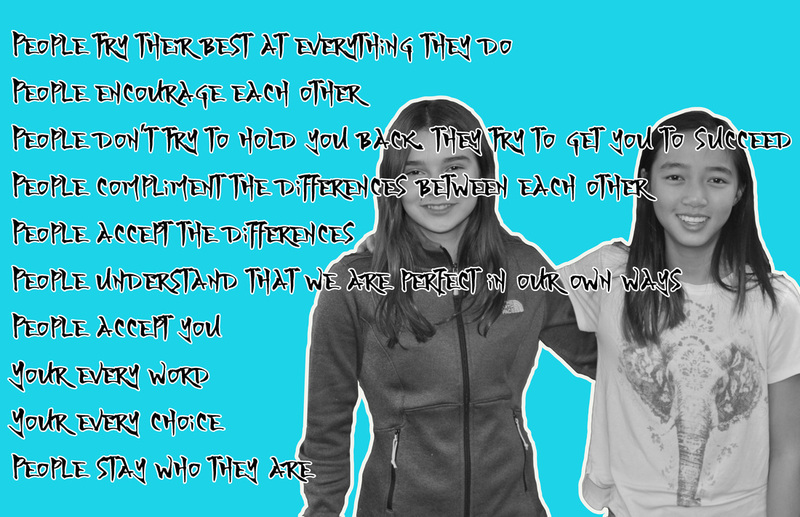 For my positive poster I choose to flip the colors because my writings are flipped from one poster to another. I flipped my colors because it shows that the posters are similar but in the same instance they are the same. I outlined the photos to make them stand out and I outlined the text in black to make them stand out. I wanted to make you see the text and the photos when you first looked at my poster and by outlining the photos and text because when you look at my posters those are the first things that you see, then you see some of the smaller things that I have done to my photos and text. I am a 7th grader at Chute Middle School.